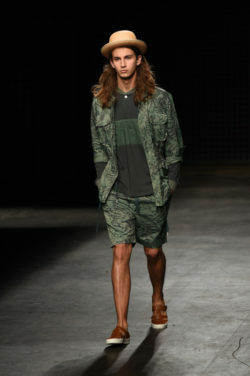 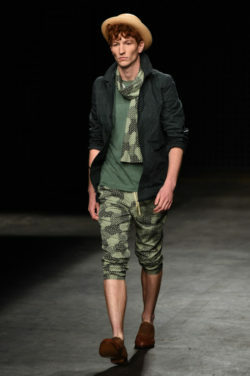 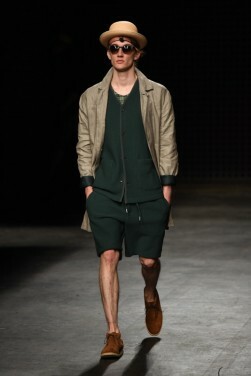 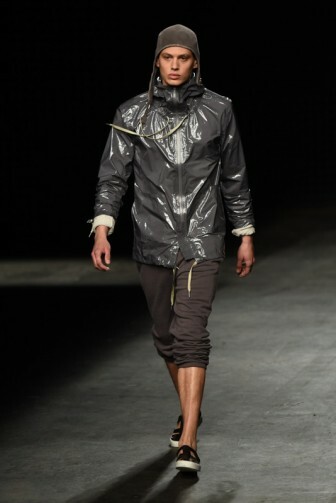 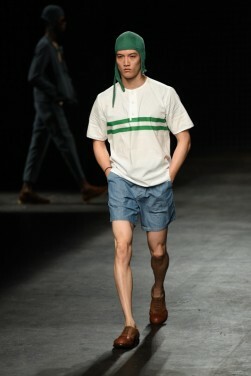 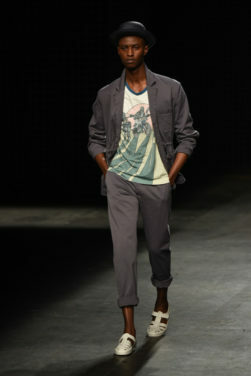 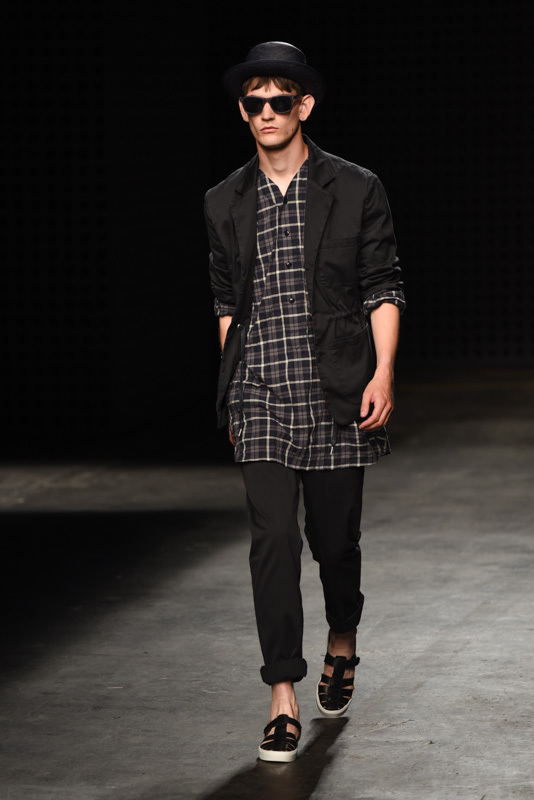 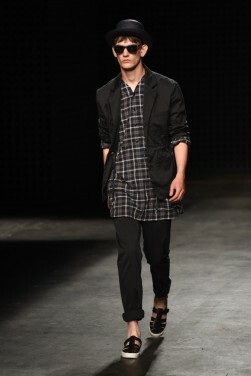 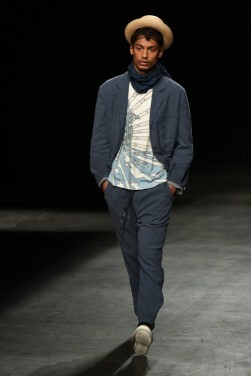 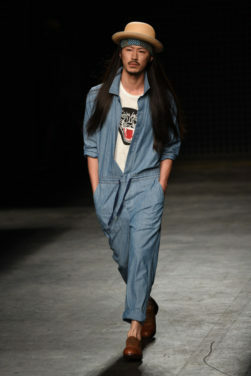 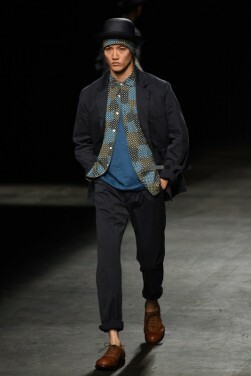 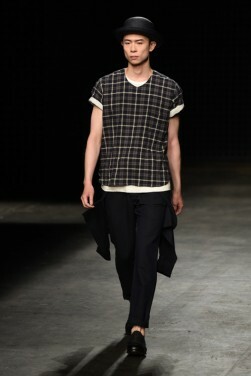 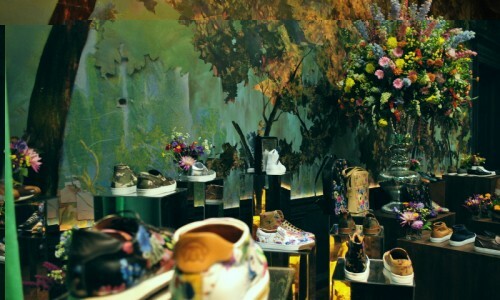 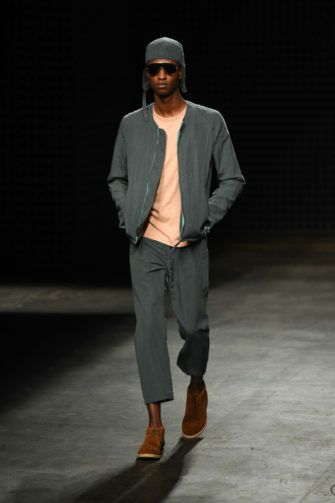 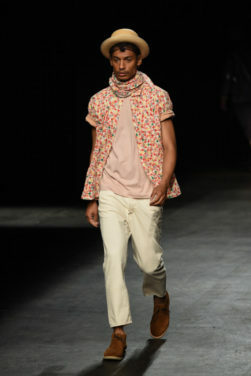 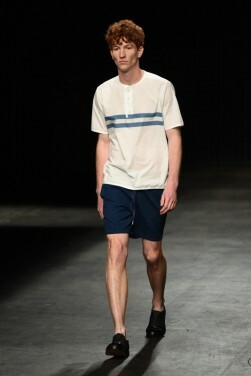 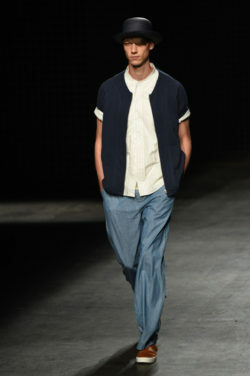 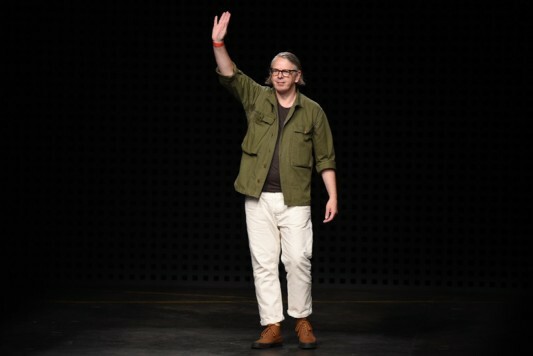 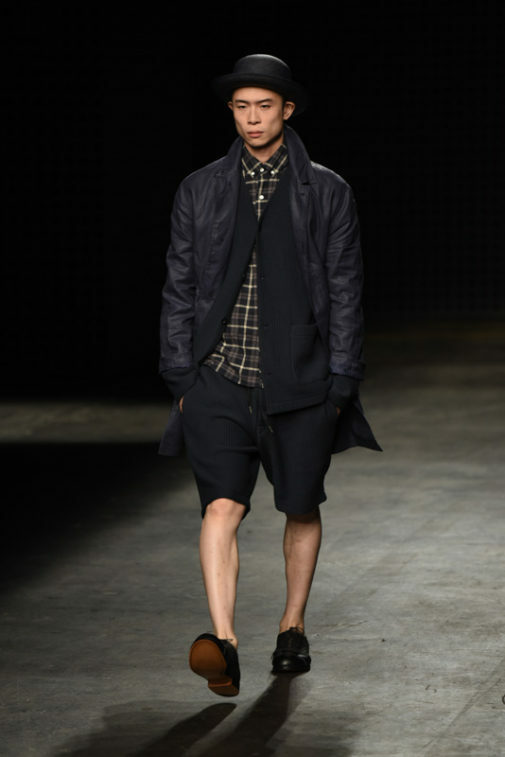 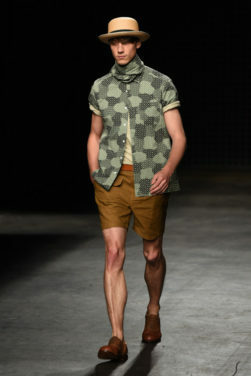 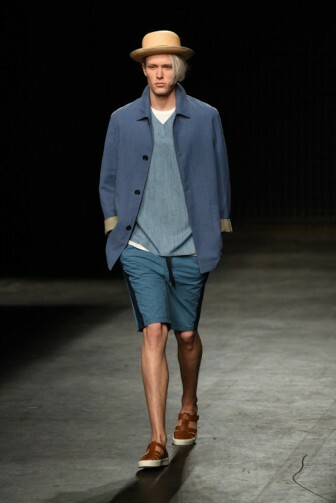 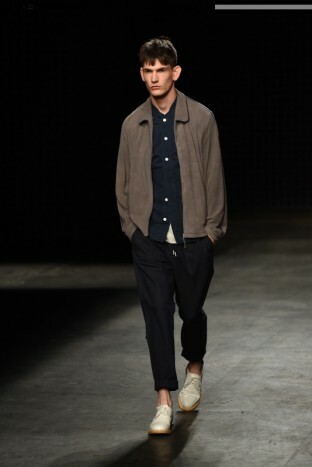 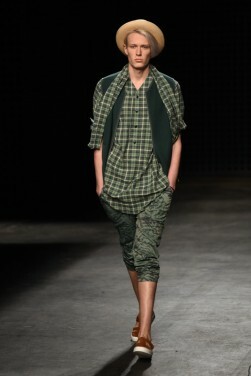 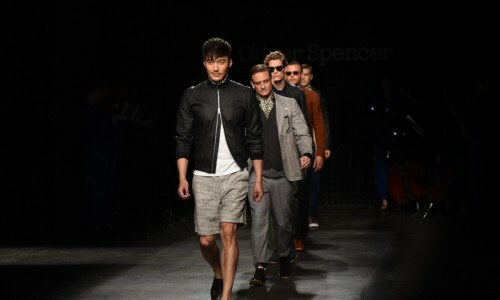 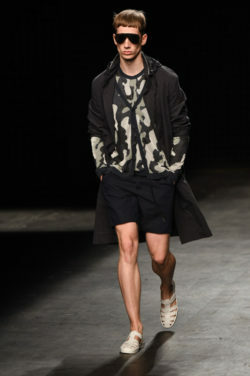 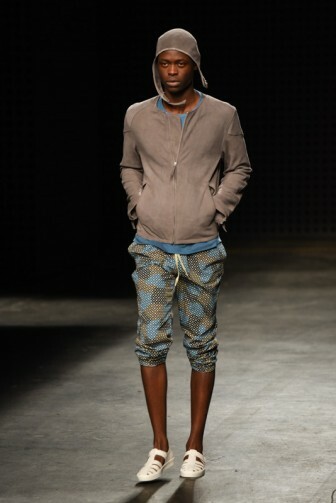 It is Saturday the 13th and Fraser Moss has taken to the stage with his latest YMC collection. 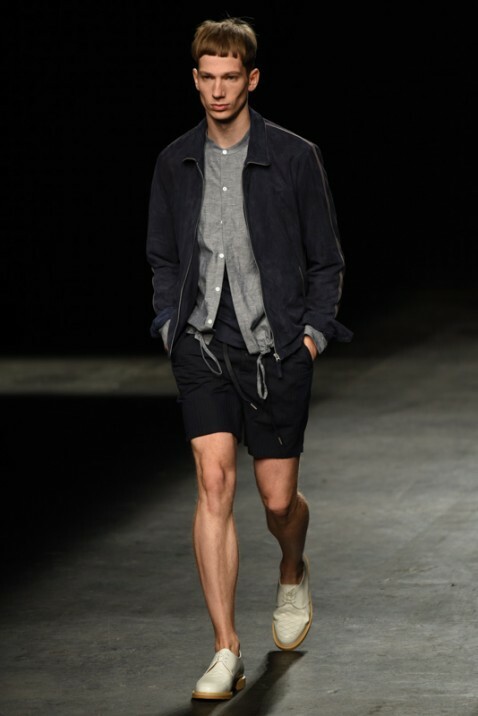 Unlike the dull, lifeless weather outside, YMC spring/summer 2016 is a youthful yet mature, masculine collection oozing confidence, charisma and a touch of eclectic vitality that is undoubtedly refreshing in a menswear label. Fronted by the ingenious head of design Moss, the collection has moved away from its signature eccentric appeal and has delivered the “art of creating coherence in a chaos of ideas”. 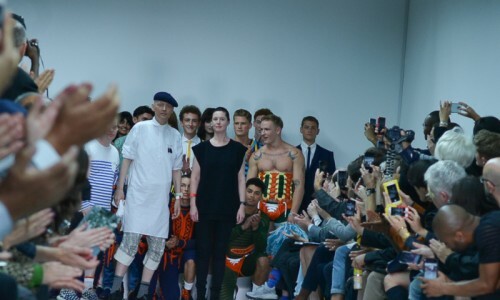 With the promise of a new re-brand, bloggers, photographers and journalists were sitting on the edge of their seats waiting for the new collection to finally be unveiled. 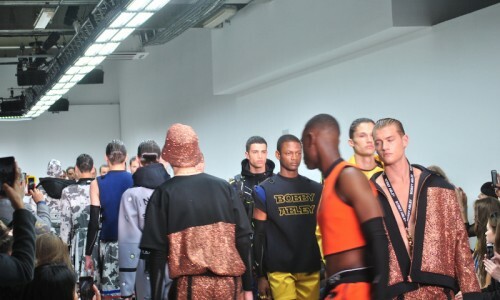 Eerie yet oddly soothing electro pop reverberated around the room as the first model glided down and around the catwalk, in time to the jarring music effects. 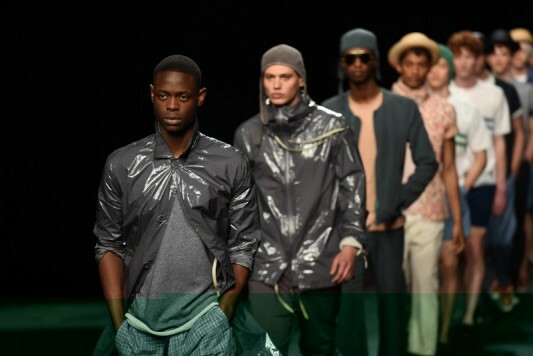 One by one the models showcased the “you create your own style” aesthetic, through a functional blend of fun and functional wear, enhanced by an eclectic colour palate. 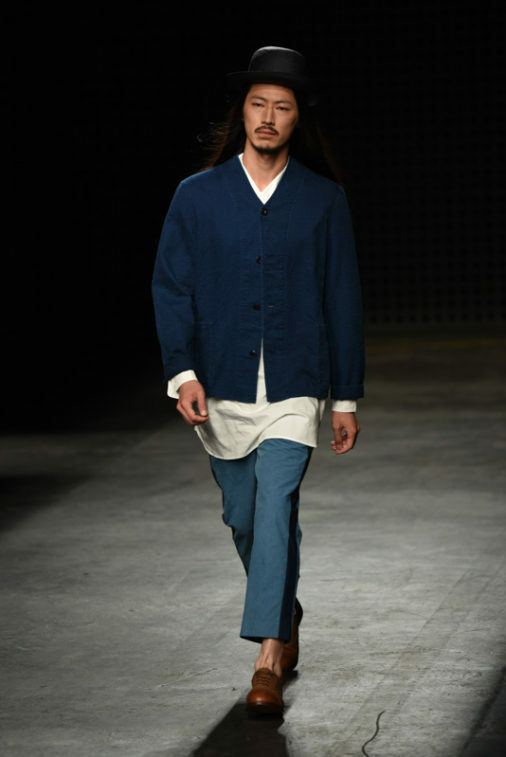 Tranquil blues were juxtaposed against neutral greys, while dusty pink accentuated the almost-androgynous appeal of the male models. 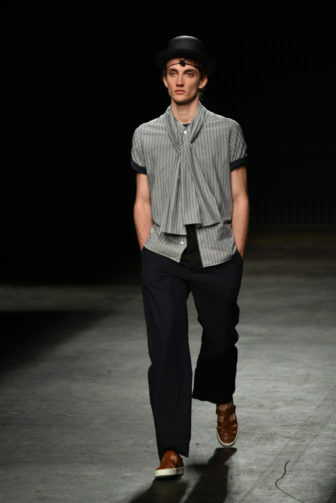 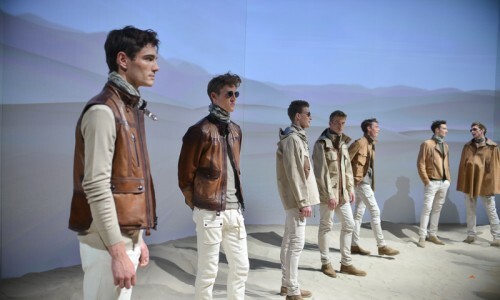 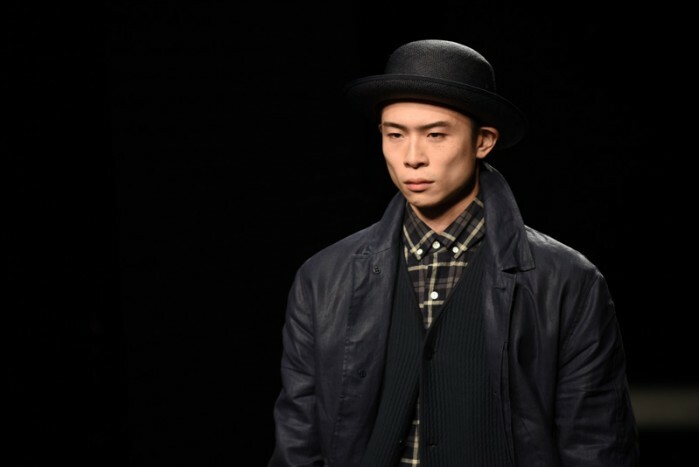 The androgyny of the male models added a new endearing aspect to the collection: vulnerability. 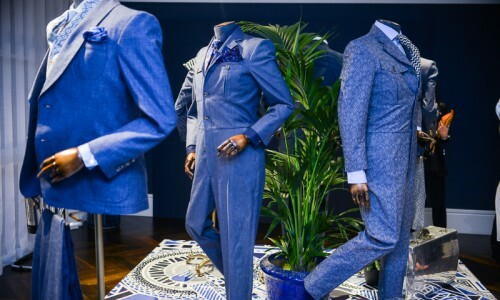 Silhouettes were vulnerable, but imminently likable, with indigo brocade cotton creating a stark contrast to its more established neighbour suede. 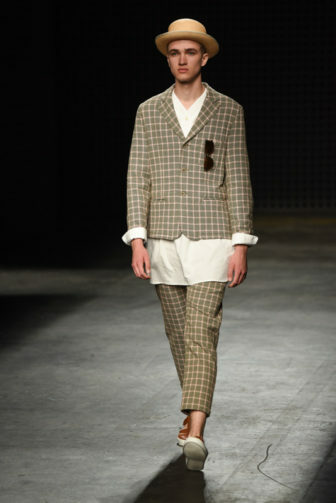 These sumptuous tailored pieces were the standout of the show but the brocade is ultimately more wearable, with its transition from night to day palpable on the catwalk. 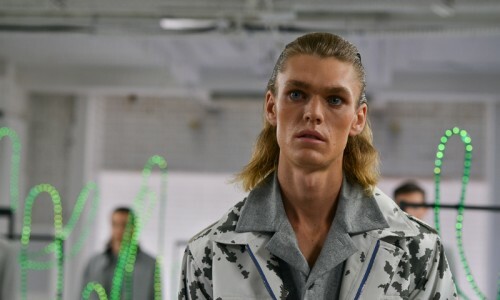 Blurring the boundary between the conventional and unconventional art form, Moss was inspired by the edgy punk rock era and has no inhibitions about creating menswear that subverts the social norm. 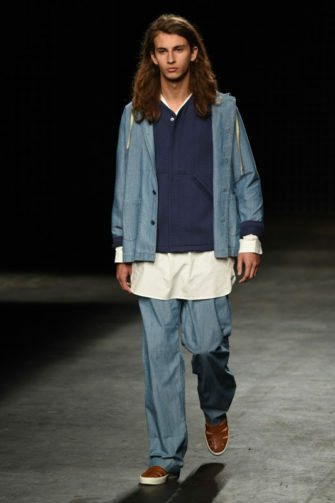 Moss has always been labelled as the rebellious British designer but it is his artistic vision that is changing the male fashion industry, one collection at a time. 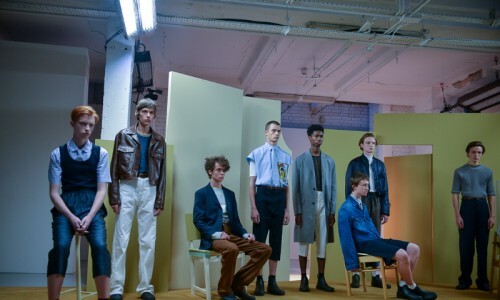 Since YMC was founded in 1995, it has slowly amassed a loyal fan following, created collections that are wearable, ignored current trends and caught the hearts of bloggers who were sporting his notable creations at the show. 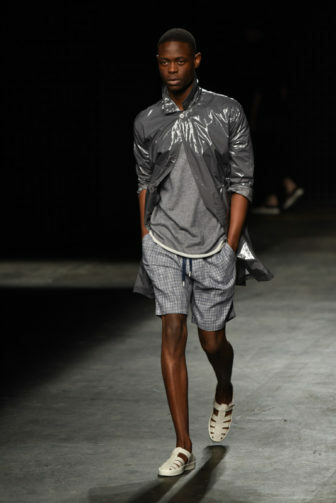 A standout menswear label, YMC has a timeless abstract style that is brighter and bolder than ever before and we cannot wait to view his next unique collection.